Let’s talk mornings, shall we? Now? I wake up to my baby crying, immediately feed and change him, eat whatever can be made in 5 minutes or less (with one hand while I hold him with the other), make tea because it’s faster than coffee, and typically forget to drink said tea due to responding to baby. Oh. My. Gosh. What a whirlwind my mornings have become! I know the newborn phase is a crazy one (mommas – tell me it’ll get better? Or more manageable? ), but having a breakfast recipe that is SUPER easy and quick is essential for maintaining balance in my life! 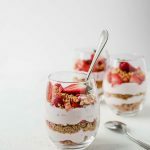 I’m loving this 5-Minute Strawberry Cheesecake Breakfast Parfait for our new, busy weekday mornings. 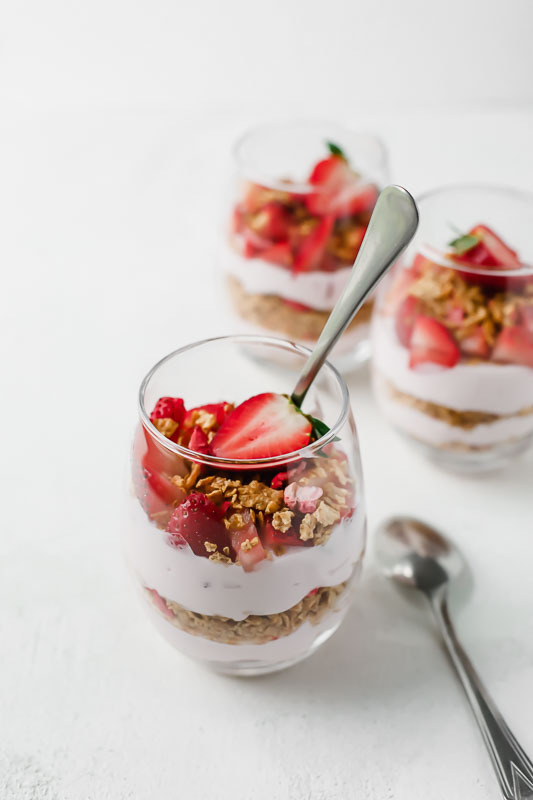 This 5-Minute Strawberry Cheesecake Breakfast Parfait is made of three simple components: yogurt, cereal, and fresh fruit. So easy! 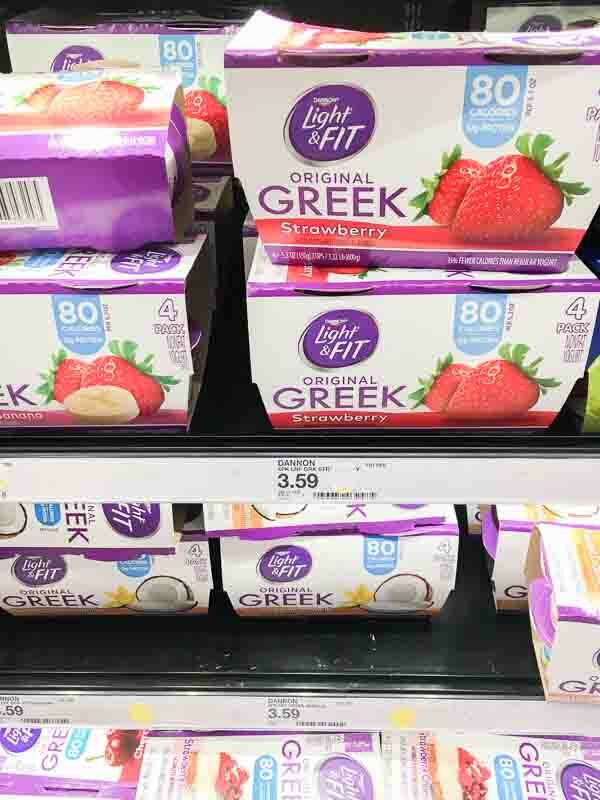 But not just any yogurt and cream. 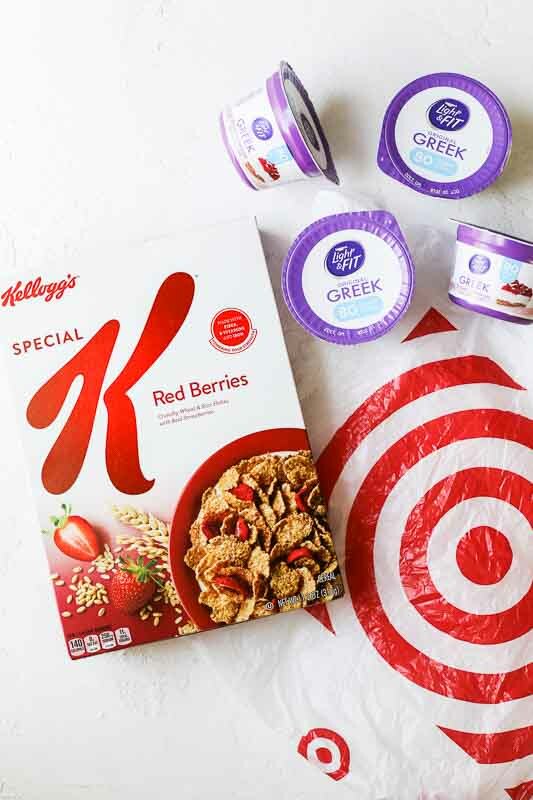 To make this 5-Minute Strawberry Cheesecake Breakfast Parfait recipe taste like strawberry cheesecake goodness, you’ll need Light & Fit® Original Greek Strawberry Cheesecake for the sweet, creamy aspect and Kellogg’s® Special K Red Berries cereal for the crunchy “graham cracker” texture! I purchase both of these at Target in the dairy and cereal aisles. The combination of both of these ingredients take this recipe to the next level, y’all! 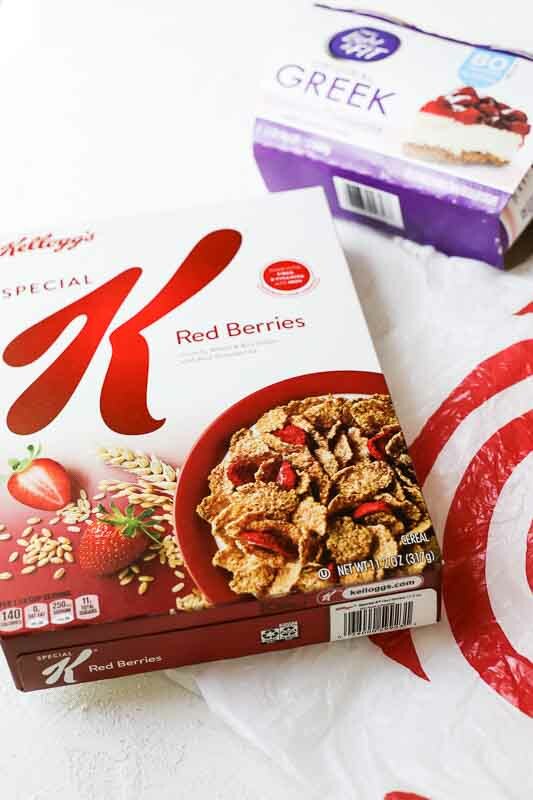 P.S: Use the Cartwheel offer at Target to save 20% on Kellogg’s® Special K cereal (9/30-11/3) and 5% Dannon Light & Fit® Yogurt (10/7-10/21). This 5-Minute Strawberry Cheesecake Breakfast Parfait also makes a fun and easy dessert option! Craving something sweet after dinner? This is a balanced and easy way to make a delicious dessert that’s perfect for 1-2 people! Love this 5-Minute Strawberry Cheesecake Breakfast Parfait? Here are more quick and easy breakfast recipes! Easy, delicious, and only take 5 minutes to make. This 5-Minute Strawberry Cheesecake Breakfast Parfait is perfect for a quick breakfast or dessert recipe! Evenly layer the greek yogurt and cereal in cups, bowls, or mason jars. Top each parfait with fresh strawberries.